Pune has always been famous for its beautiful ancient forts, caves, and hillocks, and they need exploring! The proximity with the Sahyadri makes trekking one of the major pass-times. With some of the best educational institutions dotting the city, Pune is also home to a young, vibrant community that loves to explore outdoors. 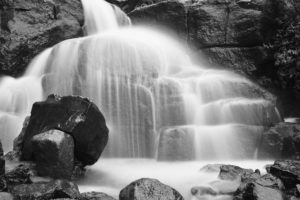 We have listed below a few offbeat trekking places near Pune. 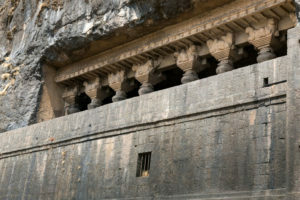 Lenyadri also known as Ganesa Lena, is a series of 30 rock-cut Buddhist caves located about 5km north of Junnar and about 90 km from Pune. A famous temple, Buddhist vihara and scenic views from the hills make it accessible for the entire family. Prabalgad Fort trek is not for the faint-hearted. 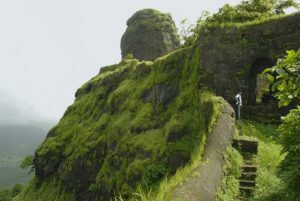 Also known as Muranjan or Pradhangal, the fort lies at 2300ft on the Sahyadri. You have to be extremely careful when you go on this trek because there are places where there are no railings to hold on to. Kolad, about 3 hours away from Pune is fast becoming a hotspot for those who love adventure. Trekking trails that are not very difficult, river rafting, or just spending time near a sprawling lake, Kolad is one of those picture-postcard perfect destinations for the entire weekend with family. Tikona Fort or the triangular fort is steeped in Maratha history. Also known as Vitandgad fort, it used to be the nerve center of the many activities of entire Malwa Pawna regions. If the fort’s mammoth entrance is not inviting enough, the promise of the great views from the top will definitely have you urging your tired feet onwards, uphill. You can also get a birds-eye view of the Pawna Dam and the forts at Visapur, Tung, and Lohagad from up the top. The Tamhini ghat close to the crest of the Sahyadris is famous for its scenic waterfalls and dense woods. Tamhini Ghat is one of the wettest places in India with an average rainfall of 6498mm. A popular destination during the monsoon, it is ideal to drive this route. Stories about ghost sightings on this road – but that sure has not stopped many from trekking this beautiful route. Keep a raincoat handy if you are going to take these trek during the monsoons. Carry enough food on the way as some of the trekking spots may not have any shops until the base camp. Carry necessary clothing and first aid kit that is needed during the time of trekking. Beware of leeches too. Pune has lots to offer and so does Puravankara.